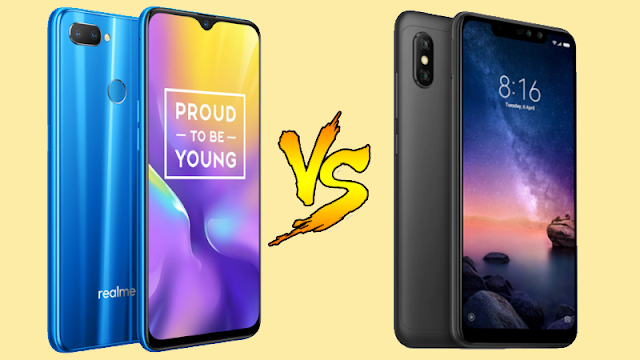 Realme U1 Vs Xiaomi Redmi Note 6 Pro: Which one is best for you? 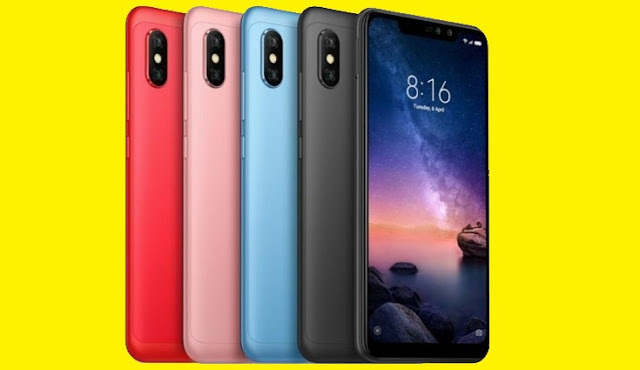 HomeMobileRealme U1 Vs Xiaomi Redmi Note 6 Pro: Which one is best for you? 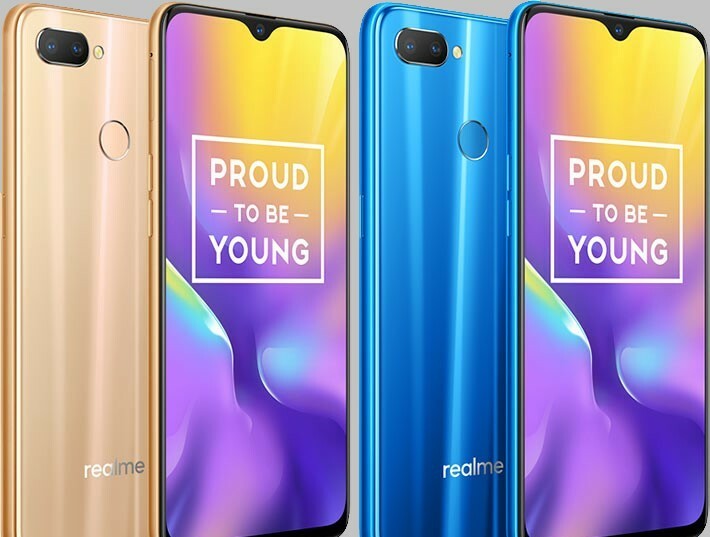 Realme recently launched its new smartphone Realme U1 in India. The new smartphone accompanies a 25MP selfie camera and an amazing P70 processor. Every one of these highlights makes Realme U1 a solid contender against the Xiaomi Redmi Note 6 Pro which also has a great selfie camera and an amazing processor. Here, we are comparing these two devices to help you pick the best option in the mid-range price segment. 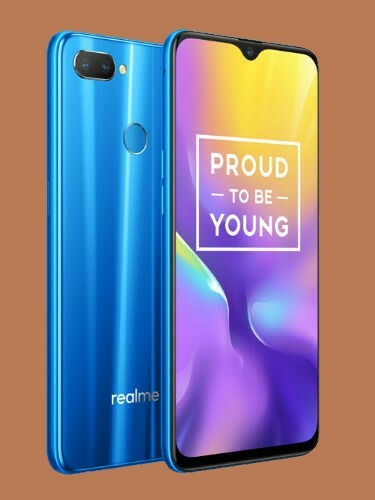 The Realme U1 comes with a similar design as the past Realme 2 Pro. The smartphone with the plastic body is lightweight and compact. It has a glossy back design, the company calls it Light Pillar Design. The Realme U1 has diffractions on the back with 13 layers of laminated technology. The smartphone does not look that much premium. The Xiaomi Redmi Note 6 Pro, then again, accompanies a metal and plastic body. The smartphone bears the metal back body with a plastic frame that looks great. There is a full-screen display with a big notch. The Redmi Note 6 Pro is big and a little heavy in comparison to Realme U1 yet it can also be effectively used by one hand. In general, both the smartphones look normal as far as design and none of them is that much premium. The Realme U1 comes with a 6.3-inch FHD+ screen with 19.5:9 aspect ratio and 90.5 per cent screen to body ratio. Thus, there are fewer bezels on each side and a little dewdrop notch on top. On account of the FHD+ panel, the brightness of the display, daylight visibility are great, and the colours are very sharp. The Xiaomi Redmi Note 6 Pro also sports a big 6.26-inch FHD+ display with a 19:9 aspect ratio. Along these lines, it additionally has lesser bezels on each side, however, a big notch on the top. The brightness, daylight visibility is great and the colours are sharp. Both the displays are relatively similar with the exception of the notch. The Realme U1 sports dual rear camera setup with a 13 MP primary sensor (f/2.2 aperture) and a 2MP secondary sensor (f/2.4 aperture). It clicks great pictures. It additionally supports Portrait Lighting mode, Slo-Mo video recording, AI Scene Detection, and Bokeh effects. The highlighted feature of the smartphone is its 25MP selfie camera that accompanies 1.8-micron pixels, and 4-in-1 pixels technology with f/2.0 aperture. The front camera supports AI Face Unlock, AI Beauty+ mode, Backlight mode, and Smarter Groupie features. It clicks great selfies in all lighting conditions. The Redmi Note 6 Pro also sports a dual rear camera setup with a 12 MP primary sensor (f/1.9 aperture) and a 5MP secondary sensor. It clicks some extremely pleasant pictures simply like its ancestor. It also comes with a dual camera set up at the front too. There is a 20MP and 2MP front camera set up with 4-in-1 Super Pixel technology. The Xiaomi Redmi Note 6 Pro front cameras support Portrait Mode, HDR, AI, and Beauty modes. The selfies are great in all conditions. The Realme U1 is fueled by the new octa-core MediaTek Helio P70 12nm processor clocked at 2.1GHz. It is with Mali G72 MP3 GPU and guarantees to offer enhanced gaming and multitasking performance compared to its antecedent Helio P60. The Realme U1 has 3GB or 4GB RAM and 32GB or 64GB internal storage options. The Xiaomi Redmi Note 6 Pro is controlled by the octa-core Snapdragon 636 processor with Adreno 509 GPU. It is an old and average performing processor in the mid-range segment. But, it is still very useful for moderate level gaming and other multitasking performance. The Redmi Note 6 Pro has 4GB/6GB RAM and 64GB inbuilt storage options. The Realme U1 runs on Android 8.1 Oreo with Oppo's ColorOS 5.2 UI. The ColorOS accompanies some new features however it also has some undesirable applications. The Xiaomi Redmi Note 6 Pro also runs on Android 8.1 Oreo with it's latest MIUI 10 on top. The MIUI 10 also comes with some new features and a few undesirable bloatware as well. Generally speaking, the choice of custom UI relies upon the user's decision. The Realme U1 is backed by a 3,500 mAh battery and it doesn't support fast charging. As far as connectivity, it sports two Nano-SIM card slots and a dedicated microSD slot. It also supports both LTE and VoLTE networks and Dual SIM Dual VoLTE feature too. The Xiaomi Redmi Note 6 Pro, then again, is backed by a greater 4,000 mAh battery that also supports Quick Charge 3.0 fast charging technology. Regarding network, it sports hybrid SIM card and microSD card slots. It also supports LTE and VoLTE networks with Dual SIM Dual VoLTE mode. At Rs 11,999, the Realme U1 appears somewhat reasonable of the two smartphones compared here. But, the Xiaomi Redmi Note 6 Pro accompanies at least 4GB RAM and is priced below the 4GB model of Realme U1. As far as looks and display, you can say Realme U1 looks better with its shiny back and a small dewdrop notch. Regarding performance, the Helio P70 again looks superior to Snapdragon 636. Discussing the camera, both the smartphones perform similarly and capture great pictures. Generally speaking, if you are not a fan of any of these brands, Realme U1 is a decent choice in this price segment but you can consider for Xiaomi Redmi Note 6 Pro if you will spend extra Rs. 2,000.